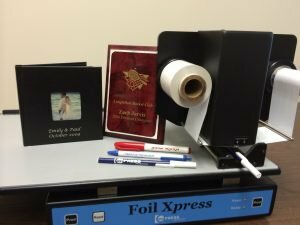 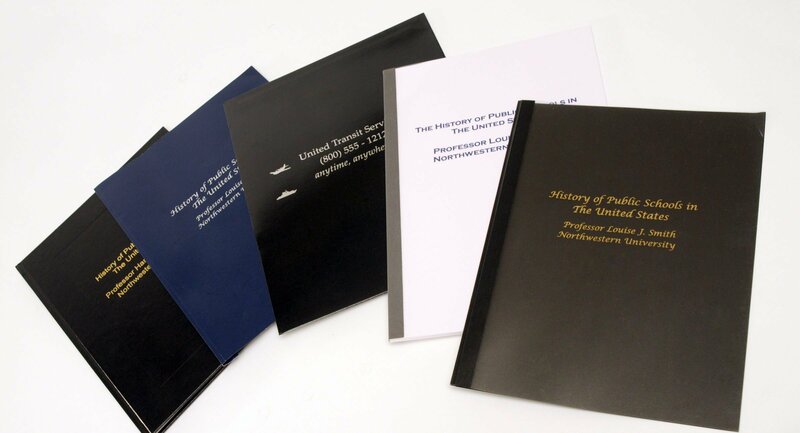 Foil Xpress and Foil Direct printers print on thesis and other book covers; journals, planners and diaries; yearbooks; photo albums (including traditional wedding albums and pressbooks); memory and scrap books. 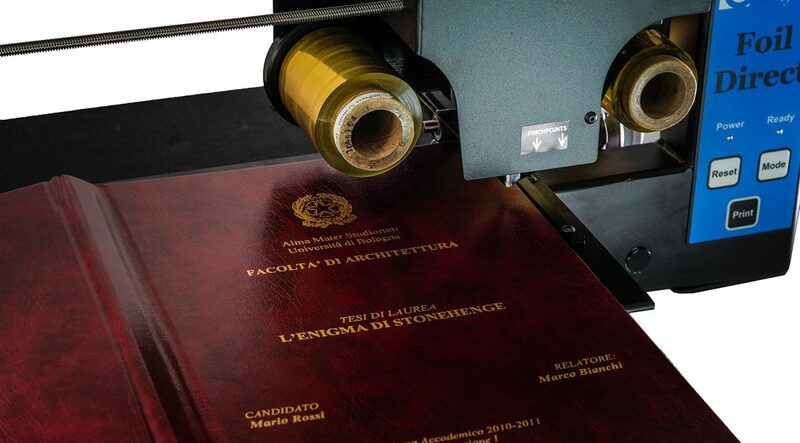 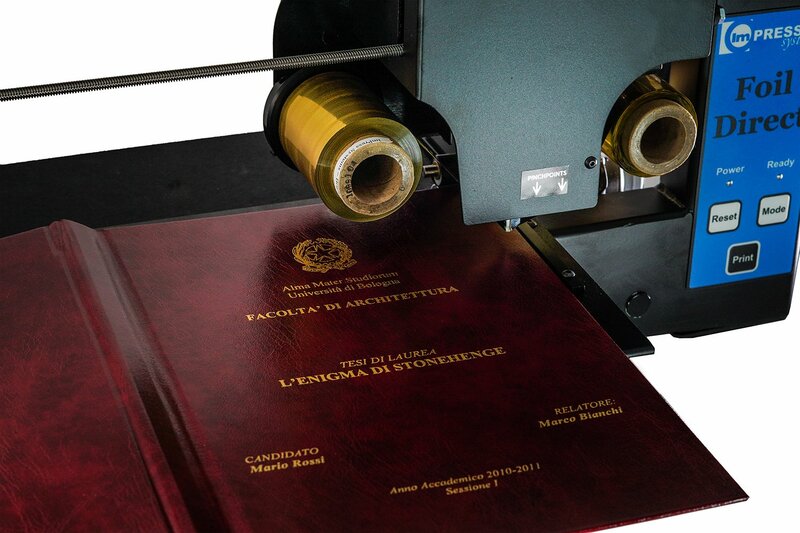 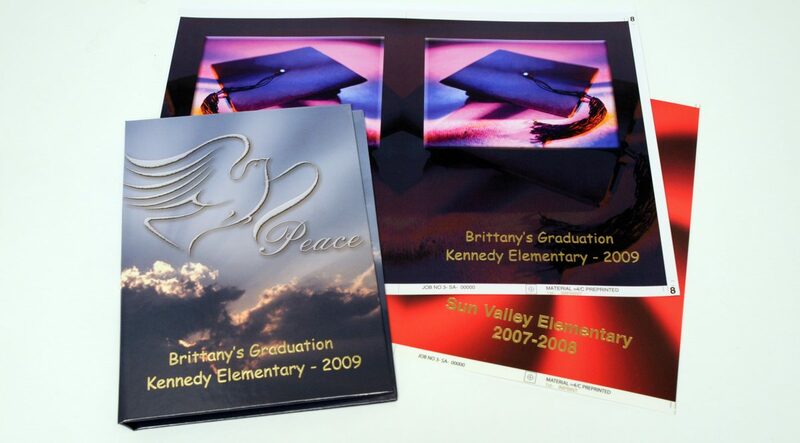 These printers work on a variety of book cover materials – as well as polypropylene laminates. 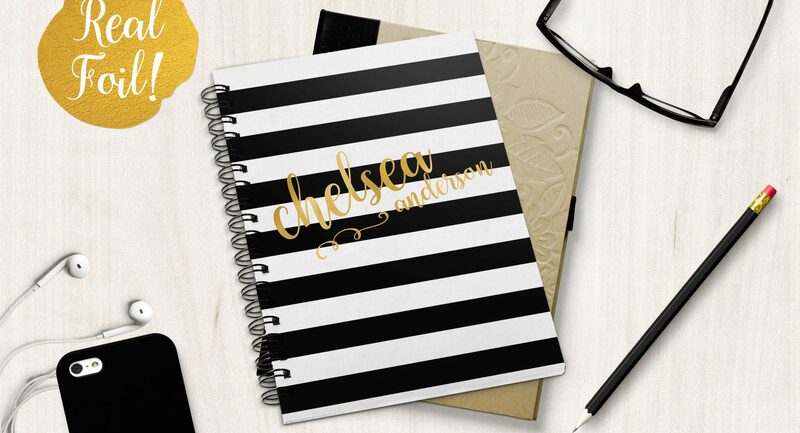 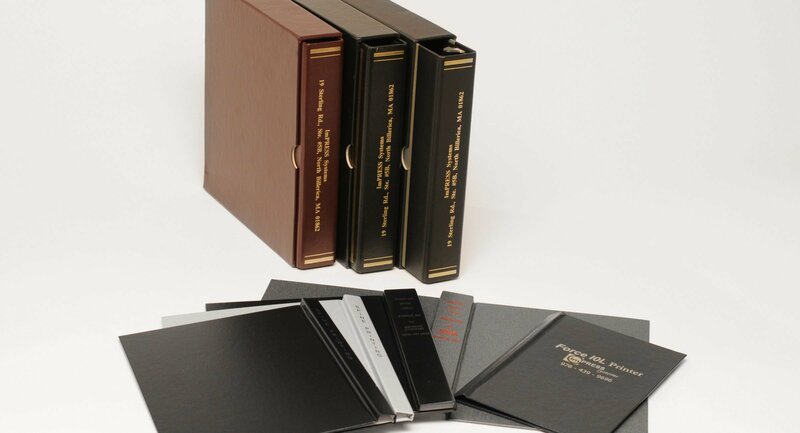 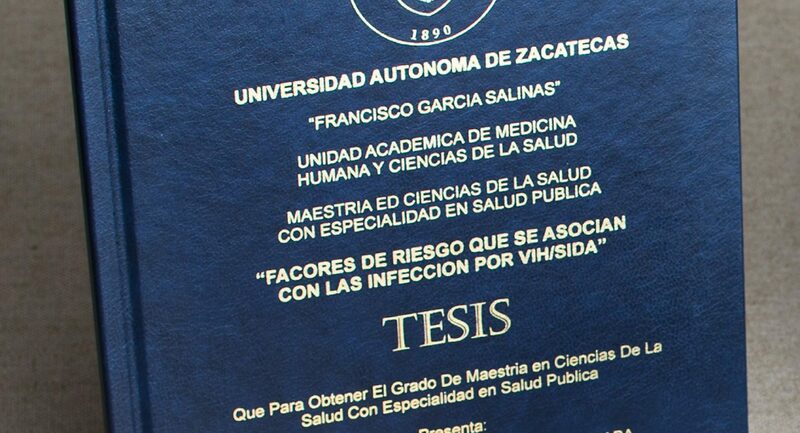 Whether it is adding a name or initials to a journal or diary or creating a personalized pocket planner for promotional purposes – or printing an entire thesis cover, our printers are the solution you need. If you need one of your cover materials tested before making a decision, call us today to discuss our preparing samples for you. 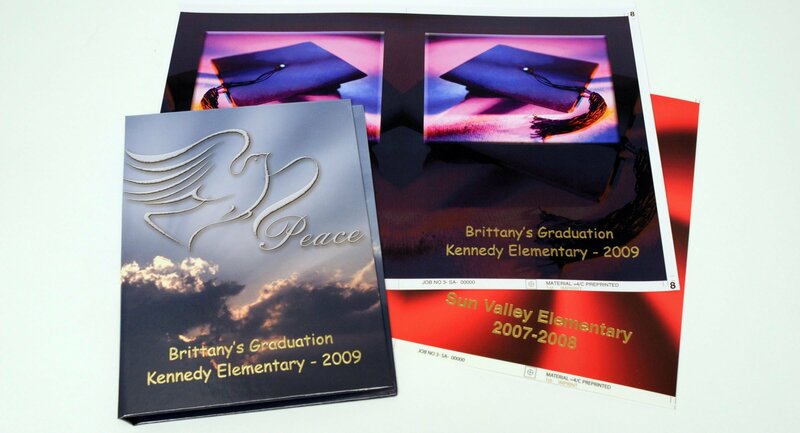 Print either before or after laminating book cover.